Experience the idyllic scenery, flawless skiing and mountain recreation of southwestern Colorado at the Mountain Lodge at Telluride. Guests staying at our hotel and ski resort will experience superior suites, cabins and mountain-side lodging secluded in our premier community. Mountain Lodge at Telluride's hotel rooms offer a uniquely sophisticated experience, secluded in the rustic peaks and valleys of the San Juan Mountains. Few Telluride Hotels offer year-round vacation rentals, condos and stately resort suites with views of dynamic, mountain landscapes and the best ski-in, ski-out lodging in the area. Mountain Lodge at Telluride is an intimate resort community offering guests a well-rounded experience four seasons of the year. Guests can enjoy fine dining and casual, slope-side dining, along with unparalleled services to make your stay with us fun and memorable. 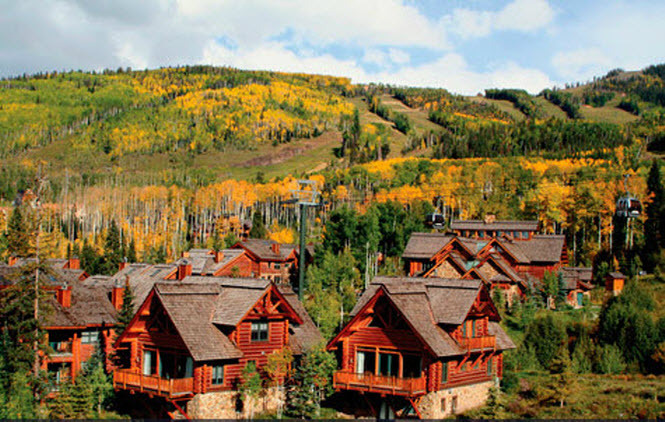 The Mountain Lodge Telluride offers rustic elegance and western charm with a variety of hotel rooms, suites, condo rentals, and luxury cabins that provide a comfortable retreat from the ordinary. Room amenities include gourmet kitchens, jetted tubs, fireplaces, and private balconies all richly furnished in a Western log cabin motif with soft leather furniture. Enjoy the spectacular views of the rugged 14,000 –foot peaks of Colorado's San Juan Mountain Range while soaking in one of our outdoor hot tubs or the heated pool. Relax in the ambience of The View Restaurant and Bar with its 50 foot vaulted ceiling and massive stone fireplace. The Mountain Lodge at Telluride offers the upscale amenities of a ski resort destination along with the personal and attentive services of a fine hotel. 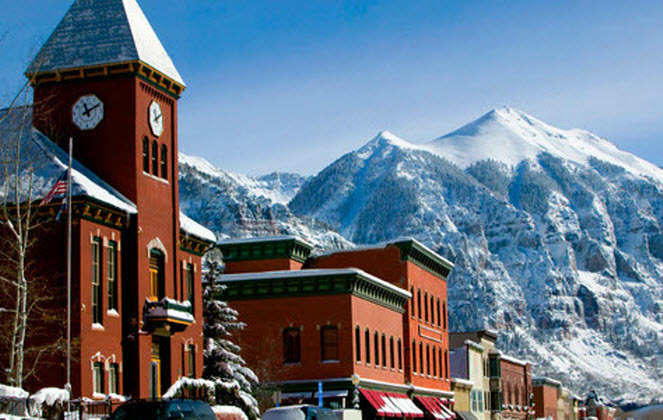 Below is a list of the on-site amenities you can expect at our hotel in Telluride, Colorado.